This was a good idea! I loved your video/pictures and voice. Well done. Go Green and make a movement like pay it forward ! I will share this with my pier group. Thanks Jane! Hope it is helpful & inspirational. Hmmm.. I’ve just started making some personal changes to get in shape as you have. I’m 5 11′ 193lbs 35inch waste. Wanting to get in tip top shape to begin the new year. Look forward to some of your insights here. I’ve just learned how important the acid level in my body is and how important my PH level is in getting healthy and losing weight. Great choice Jeff! Keep me posted on your progress & feedback. Dude…the left pic looks like where I’m at…with my girl being 7 1/2 months pregnant, I need this…. 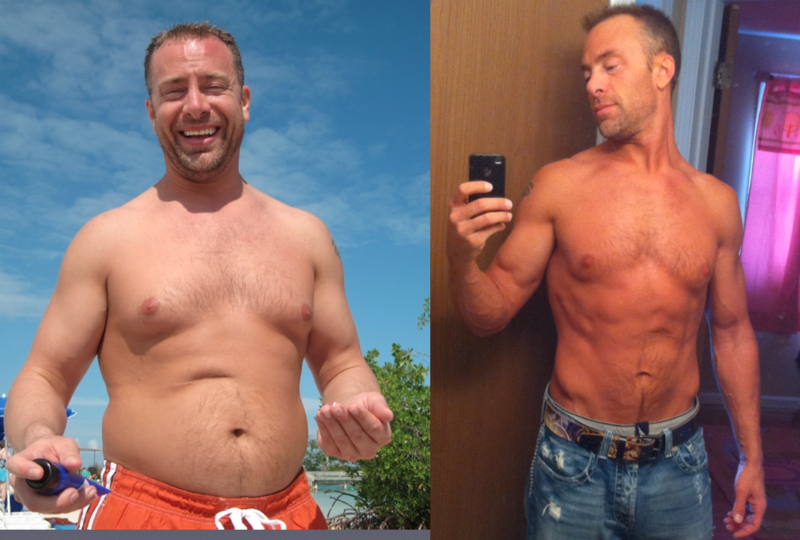 Congrats dude…I’m gonna follow your system and see if I can drop 30 pounds? Way to go, Tom! Congrats man. What a great story. I look forward to seeing the report and learning how you did it. Keep up the great work! I’ve put on about 35 pounds in the last year alone since I quit my roofing job to become a full time internet marketer. I’m looking forward to checking out the new me in 60 days time. Glad to hear you have begun your transformation, Ben! Way to go! Keep me posted on your progress and I look forward to hearing about your results soon!